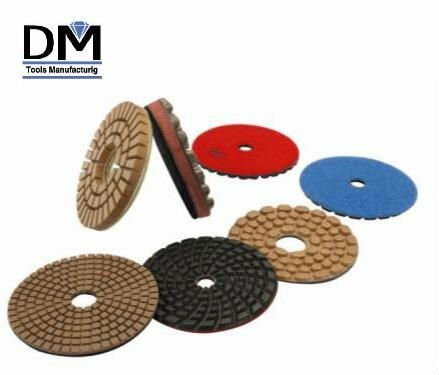 Granite/ Marble Polishing Pads are used on special glaze polishing machines equipped with satellite heads to make full-polishing and mat polishing of Granite/ Marble slabs. Our glaze polishing wheels are approved for their low cost, high grinding efficiency, high gloss and no grinding scratches. Other specification are available upon request. D.M. 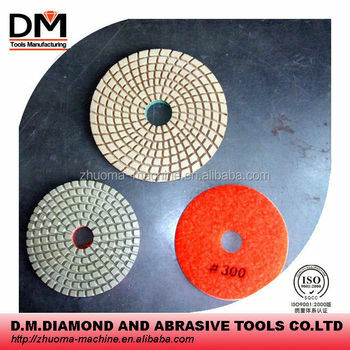 Diamond & Abrasive Tools Co., Ltd.